You simply can’t receive our level of expert custom fitting online. It’s only possible in-store, in person, with one of our expert, helpful, caring staff. Experience the difference today! On the golf side, we offer a wide range of custom club fitting options in each of our four stores, including indoor fitting bays with state-of-the-art launch monitors and computer fitting software, and outdoor driving ranges. Our Greenland, NH, Hudson, NH, and Scarborough, ME, stores offer custom fitting using Trackman 4 simulators, the world’s first and only dual radar technology. TrackMan 4 is considered the world’s leading tracking technology preferred by tour players, top teachers and manufacturers throughout the golf industry. All four stores feature the Foresight Sports GCHawk simulators with state-of-the-art object recognition and imaging technology. The brand new overhead-mounted GCHawk™ system delivers the same accuracy and shot-after-shot reliability you’ve come to expect from Foresight Sports. Our Hudson, NH, store also features a Callaway Performance Center and SAM PuttLab for the ultimate in custom club fitting. 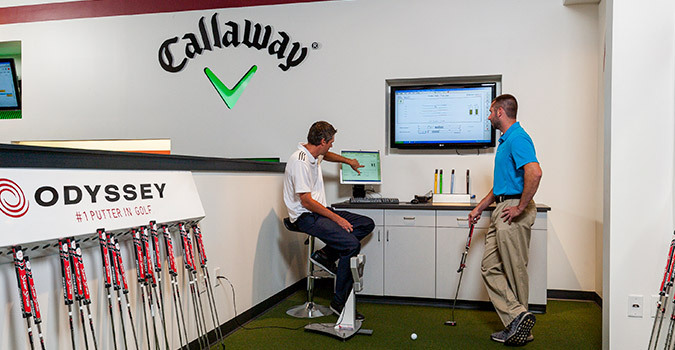 The majority of our golf fitting specialists have been professionally trained by experts from the leading club manufacturers—either here in our stores or at their corporate headquarters. No matter what your golfing ability, you will benefit from having clubs custom fit to your individual stance and swing. It’s the most important thing you can do to help your game, and that’s why we specialize in it. 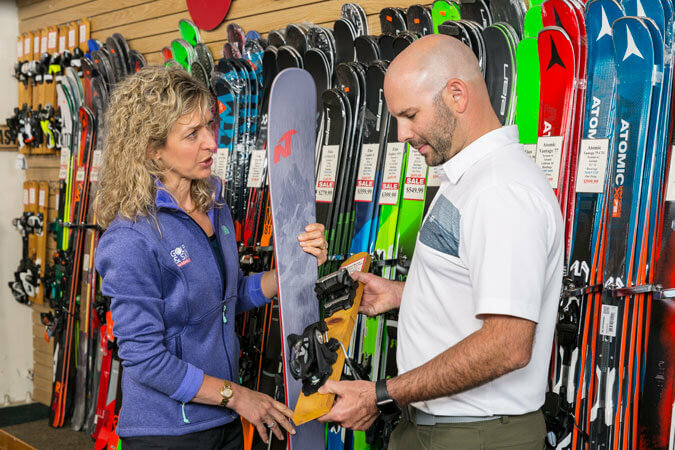 On the snow sports side, we offer a Boot Fitting Guarantee—so you can rest assured your ski or snowboard boots will have a proper, comfortable fit or you can exchange them for another pair of equal value. We also offer a Ski Performance Guarantee, so you can have total peace of mind when you make your purchase that your new skis will be right for you…or we will exchange them for a new pair of equal value. Expert custom fitting makes all the difference—in your performance, your pleasure and your peace of mind. Swing by today and let us custom fit you!